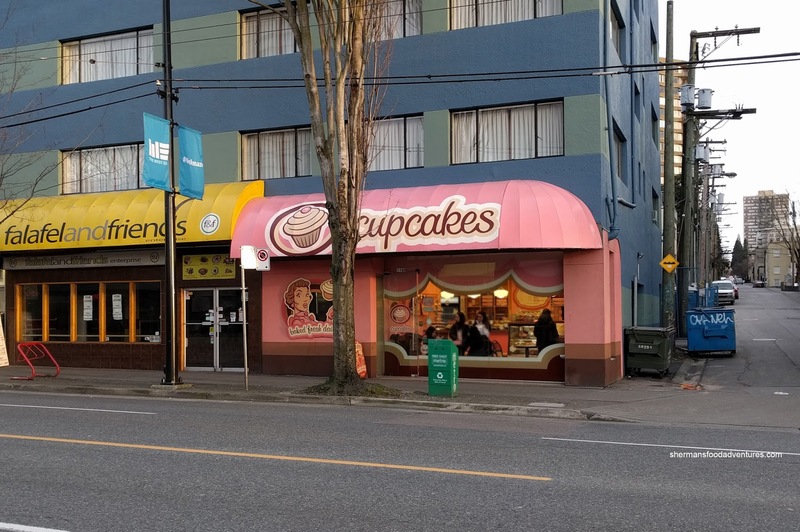 When I was initially approached to try out 3 limited edition flavours from Cupcakes, I was both apprehensive and skeptical. My previous experiences with Cupcakes has been mediocre where I thought the product was far too sweet and dry. However, I'm always up for giving people another chance and besides, the flavours (Matcha, Black Sesame and Mango) were rather appealing. I ended up picking up not only those 3 cupcakes, I got 3 of their best sellers to do a comparison of their new recipe against their old one. Oh, and yah, there were 12 mini-cupcakes thrown in for good measure. Now let's get to the 3 limited edition cupcakes first. Just by looks alone, there was not much confusion as to their flavour. I thought the Mango was pretty spot on, yet it was still sweet for me despite the reduction of sugar. 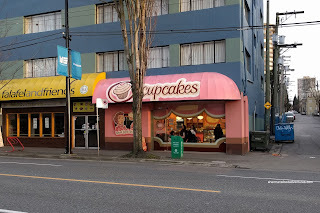 The cupcake itself was remarkably moist, yet not greasy. Light and creamy, the frosting on top of the Matcha was seemingly not as sweet (probably because of the bitter matcha). The same could be said about the cake too as the sugar was nicely balanced out by the bitter matcha (the whole thing was not bitter though). The best one hands down was the Black Sesame as it was aromatic, nutty and impactful without going overboard. Sure, the colour wasn't exactly the most attractive, but it ate well. Onto some classics, there was the Red Velvet, Brownie and Diva. I personally love red velvet and was very happy to see they were able to make this thing moist. The cream cheese frosting on top was still sweet, but noticeably less than before. We all loved the brownie as it really was an actual brownie (just prepared as a cupcake). It was rather dense though, but it had the robust qualities of a brownie as well as a rich chocolate essence. The diva (essentially a chocolate cupcake with pink vanilla frosting) was also quite good with an even lighter cake than the red velvet. It was indeed chcolatey, but for some reason or another, the frosting on this one seemed sweeter. Was it because of the sprinkles? 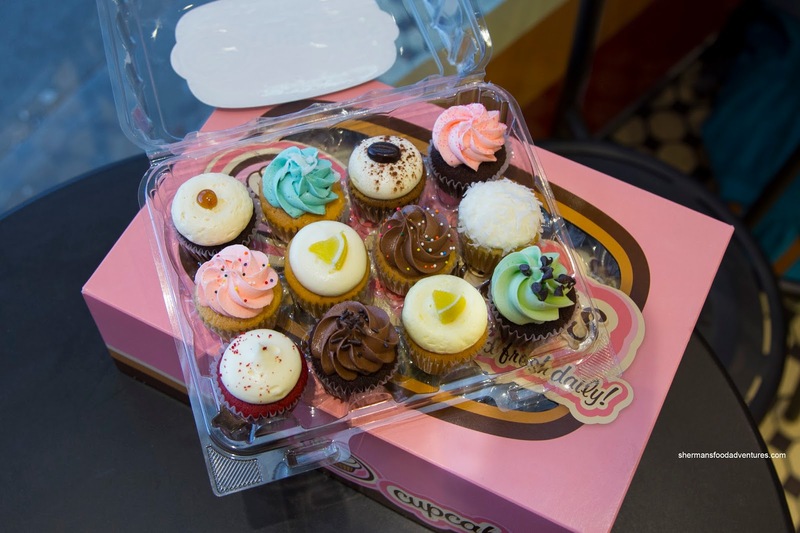 Lastly, I was treated to a 12-pack of Mini-Cupcakes consisting of Red Velvet, Chocolate, Lemon Drop, Mint Condition, Koo Koo, Vanilla, Diva, Coffee, Blue Hawaii and Caramella. 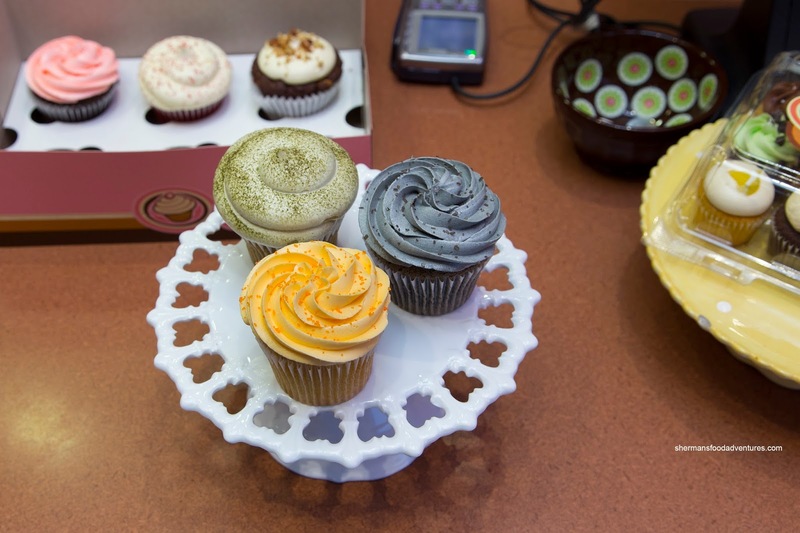 These bite-sized cupcakes were a touch less moist than their larger counterparts, but that was to be expected. I thought that the lemon drop was a nice departure from the previous 3 due to it being less heavy. Interestingly, from all the choices, I enjoyed the chocolate the best as it was visually appealing and really did taste like it appeared. 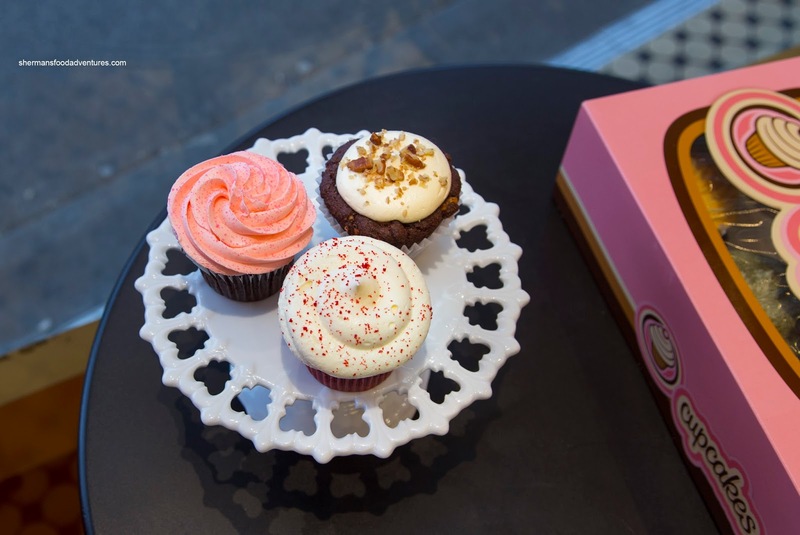 In the end, I was glad to have revisited Cupcakes, not only because of the 3 limited edition flavours, but everything else because they were less sweet and more moist.